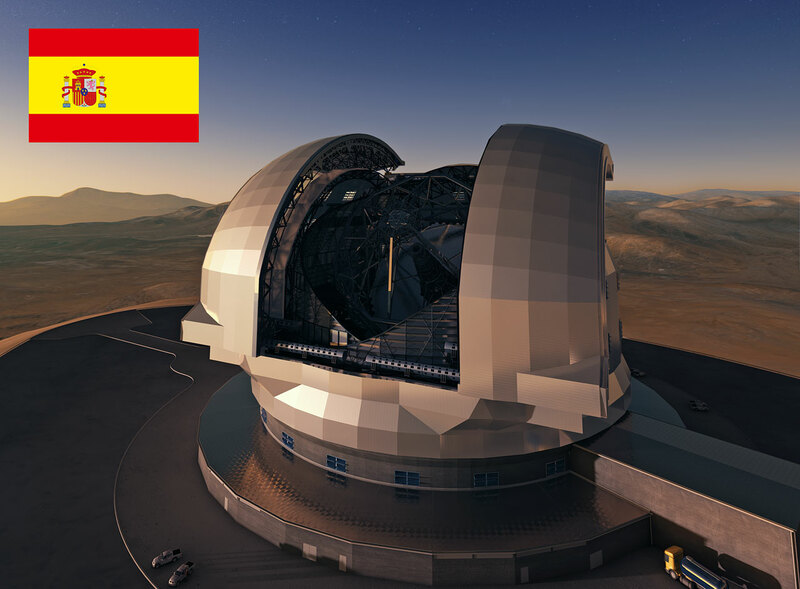 On 3 June 2014, during the 131st meeting of the ESO Council, the Spanish delegation informed the Council that the Spanish Council of Ministers had approved the participation of Spain in the European Extremely Large Telescope (E-ELT) supplementary programme. The Council very much welcomed the statement of the Spanish delegation and unanimously approved the participation of Spain in the E-ELT programme. The ESO Council and the ESO Executive are delighted that all ESO Member States are now in the E-ELT programme. Spain joined ESO in July 2006 and its membership was ratified by the Spanish Parliament in February 2007. Further details of the country’s extensive involvement with ESO are available here. Spain will be the fourteenth ESO Member State to join the E-ELT programme. The total investment from Spain amounts to a total of about 38 million euros. The European Extremely Large Telescope is expected to yield great advances in most topical areas of astronomy, including planets outside the Solar System, studies of the first objects in the Universe, supermassive black holes, and the nature and distribution of the dark matter and dark energy. Construction of the road to the summit of Cerro Armazones, where the telescope will be sited, began in March 2014. A groundbreaking event to mark the blasting of the top of the mountain to create a level area where the E-ELT will be built, will be held on 19 June 2014.